Abuilding4you is Northern Wisconsin’s premier distributor of North Star Portable Buildings featuring pre-built cabins, storage sheds, garages and more delivered statewide. Security Systems & Equipment including: (closed circuit television) Security cameras, Access control systems & devices, Fire/Burg systems & intercom. AGS/Tx Ad Internet offers high quality marketing services to RV parks and campgrounds, including guest directories, site maps and website design/hosting. Sell Packaged ice in 7lb. And 20lb. Bags. Quality merchandisers and Route service available. Special Event equipment available. Full service sign company and apparel & promotional product distributor. Professional exterminator, ANTS Complete Pest Control, of Holmen, Wisconsin provides both residential and commercial services.Ant’s Complete Pest Control is an exterminator business that specializes in any kind of bug or rodent control. High Quality, fashionable, apparel for your camp store, your staff. FOR LOOKING GOOD! Partners – Included in your WACO membership. Jeff Sims will be available to answer questions! Online and locally hosted state of the art reservation, accounting computer software. Retail complete outdoor movie theaters. We are a team of dedicated Concession Specialists offering Equipment, Supplies & Service for traditional Fun Food concepts including: popcorn, caramel corn, cotton candy, sno-kones, nachos, soft pretzels, slush, smoothies, frozen yogurt & soft serve, funnel cakes, hot dogs and more! Pedal Go-Karts made by the pros! For over 27 years Berg Toys has manufactured pedal go-karts in Holland. These commercial-grade karts have been in use at RV Campgrounds around the U.S. for 16 years. Set your park apart and increase profits by offering your guests BERG Pedal Go-Karts! Producer of Miracle Recreation playground equipment, safety surfacing, basketball equipment, site amenities and shade structures. Free design and consultation service. Booking.com B.V., part of the Priceline Group (Nasdaq: PCLN), owns and operates Booking.com™, the world leader in booking accommodations online. Each day, more than 1,200,000 property nights are reserved on Booking.com. The Booking.com website and apps attract visitors from both the leisure and business sectors worldwide. Amish built log cabins, sheds, and other outdoor buildings. Custom experience apps for campgrounds. Features include real-time alert & notification system, turn by turn directions to nearby places (attractions hiking trails, restaurants, etc. ), mobile initiated delivery services, impromptu games, campground activities calendar with reminders, campground photo share integrated with social media channels. Manufacturer of park models under the Parkvue and Bayview brand names; Manufacturer of Deluxe Cabins used in the overnight accommodation industry. Cason & Associates, LLC provides professional resources for the management of lakes, ponds, rivers and wetlands. Products and services include: pond management consulting, pond management programs (ranging from plans for the do-it-yourself pond owner to fully integrated plans where we take care of everything), custom aeration systems, fountains, fish stocking, pond design and construction, native aquatic plantings and quality fishery management. Many other services are available – Please stop by our booth for more information. Animated and talking characters, people birds, animals, wall mount heads, Fortune Teller machines. CheckBox Wireless Hotspot System – CheckBox helps you provide outstanding Internet access to your guests. Speed Queen coin-operated laundry and OPL Washers and Dryers, bill changers, soap vendors, etc. Commercial Recreation Specialists provides recreation solutions ideal for campgrounds, including Inflatables for the Pool or Waterfront, Kayaks, Pedal Boats, Miniature Golf, Portable Skateparks, Indoor & Outdoor Play Equipment, Shade Structures, and much more. CRS is Serious About Fun. ATM Sales and service. Bankcard Processing and Service. Point of sale system sales and service. Cash registers sales and service. Coverra Insurance Services is a full lines, independent insurance agency offering a specialized insurance program to campground owners including liability coverage for jumping pillows, docks, swim rafts, water slides, space basketball, slidezilla, water trampolines, inflatables, and other speciality items. At Coulee Region Bookkeeping and Tax we offer a full range of accounting services for any type of business. Ongoing services include: bookkeeping, payroll services, banking, financial statement preparation, tax planning and preparation, compliance consulting and budgeting. You can combine any of these services into a package specially tailored to your budget and business objectives. No matter what your needs, we promise to deliver dependable support, unmatched service and competitive rates. More than 125 years of traditional and outdoor hospitality experience and expertise, a global sales team, and a new innovative approach to the outdoor hospitality arena. Digital Security systems provides solutions for all of your computer, security & networking needs. Our security camera systems have capability of remote viewing from anywhere in the world via smartphone & computer. Other security products and/or solutions available. Call with questions. DNA Sales is your resource for all the best license character products to profit building items that guarantee a giggle, a smile and a return visit to your store. With offerings of gifts, toys, novelties, seasonal items PLUS jewelry, handbags and personal accessories in our boutique division, we pride ourselves in the fact that we always have something new to show you and will be on the cutting edge of the latest trends. National Manufacturer of top quality Sunrooms, Screen Rooms, Awnings, Portable RV Awnings, Portable RV Sunrooms and Screen Rooms, Fold-Down Slide-out Covers, Storage Buildings, Aluminum Railing and Window Canopies – Manufacturing Excellence Since 1958. Edge one is Wisconsin’s leading ATM solutions provider offering, ATM sales, first line and second line service, transaction processing, compliance assistance, teller cash recyclers and money counters. Park Models, Trailers and Cabins. Fox Stamp, Sign & Specialty is a Wisconsin based, 65 year old company. The manufacturers custom products from stamps, signs, apparel, drinkware, gifts and awards. We can handle it all. Flag and flag poles, sales and services, custom flags, state, military and all flags. We provide outdoor or indoor theaters. We set-up, operate and tear down all equipment. Unique Gaga Ball Bracket System makes building your own Gaga Ball Pit fast and easy! Just drill your holes and bolt the lumber to the brackets. Template, instructions, and all fasteners included. See our website for more accessories and information, or call us direct. Gama Sonic is the leading manufacturer of high quality solar lamp post lights. Solar lamp lights can be easily installed anywhere there is sunshine and bring an alternative to traditional lighting without digging and running electrical wiring, which saves time and money. Gerber Tables has been manufacturing heavy duty picnic tables since 1969. The tops and seats can be of wood, aluminum or recycled plastic. Other items manufactured are park benches, grills and bike racks. “Built to last” is more than a slogan. 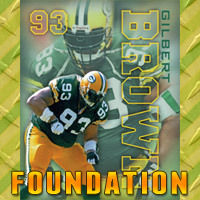 The Gilbert Brown Foundation’s mission is service youth in an environment that promotes structure and life skills awareness, by introducing team building skills and promoting diversity in the community. Fundraising activities that benefit the Gilbert Brown Foundation which supports Camp Sunshine Wisconsin, Make a Wish, Rawhide Boys Ranch. Light-Up Novelty toys, Swim & Beach Toys, Novelty Toys, Camping items, Gift. Publisher of National, Regional directories – 2 Consumer Websites – GoodSamClub.com & GoodSamCamping.com and the Good Sam Camping App. Customized Campground Insurance Program for Family-oriented campgrounds; Local or franchise operations; Religious campgrounds; Tourist or tent camping; and Long-term lot leases, seasonal or year round operations. We offer all lines of property/casualty coverages including Auto, Property, General Liability, Crime and Umbrella. Great Lakes Laundry Commercial Sales, Inc. Complete line of resort & custom apparel. Includes screen print, embroidery, digital sublimation, laser cutting & laser etching. Over 1 million promotional items as well!! Our promise to you– on time delivery, high quality & affordable prices since 1989. A complete campground provider offering candy, snack, grocery, extensive food service, beverage and concession programs, paper and janitorial supplies, camping supplies. Ignite Payments provides a full line of services any merchant needs, from accepting VISA, MC, Discover, AMEX, Gift Cards, Online payments, mobile solutions, and POS systems. We truly go beyond the transaction! All natural purees for fruit smoothies and premium cocktails. Club car authorized dealer. Sales, Services, and Rentals. Repair all makes and model. Golf Cars, 2,4,6,8 Passenger People Movers and Utility Vehicles. Clothing – Sweats, Tees, Hats, Scandals, Sunglasses, Sun products, Bug Sprays. Picnic Tables, Fire Rings, Patio Fire Pits, Park Grills, Certified Kiln Dried Firewood, Mini Golf Props, Firewood Vending Machine and Custom Designed Benches and Signs. Recreational items such as pool/water toys, novelty & Impulse toys. Provide an all-encompassing Technology Development and Online Marketing Solution to help you excel in your market. Insurance on Campgrounds & RV Parks nationwide – Package Polices, Workers Compensation for Parks and Fun Centers. Playground & Recreation Equipment. Site Furnishings & Shade Products. Free Design Services. Thousands of advertising items to promote your business. T-Shirts, Hoods, Jackets, Hats, Advertising Specialties products, Promotional products and more. Full line Power Equipment Dealer. Stihl, Kubota, Ferris, Husqvarna, Massey Fergusen, Tru Value Hardware, Firestone/Bridgestone Tires. Playground Equipment, Outdoor Recreation and Fitness Equipment, Shelters, Shade Units, Bleachers, Picnic Tables and other Outdoor Site Furnishings, including Drinking Fountains, Grills, Benches, Trash Receptacles, Bike Racks, Pool & Patio Furniture, Playground Surfacing, as well as FREE On-Site Consultation and Design Services. Coin operated and commercial laundry equipment. America’s leader and largest mosquito and tick experts. We service all of central and northern Wisconsin. Efficient and affordable mosquito, tick and other insects eliminated. 100% satisfaction guaranteed. Mystic Lights are a new and exciting way to light up any room, patio, or RV! These are self-assemble lamps made up of multiple interlocking pieces that can be assembled in many different ways and are a great new addition to your activity program! Custom woven gifts & souvenirs made in the USA. Full custom or stock namedrop designs available. Low minimums, quick turnaround. Products: Lanyards, Patches, Keyrobs, Pet collars, Leashes, Toys & more. Nature’s Niche-is a native & exotic animal rescue that provides fun education programs with live animals from reptiles to rainforest. All our programs are hands on and we have many animals. Premier builder of pools. Portfolio includes lap pools, leisure pools, waterparks, wave pools, interactive play features, lazy rivers, zero depth pools, activity pools and waterfalls. Welcome to North Woods ® Chemical – The Dawn of New Ideas. Our goal is to create safe and effective formulations for home, office and workplace. We manufacture the Original Jumping Pillow, supply Children’s playground equipment, in all shapes and sizes and also supply just components for play ground equipment. We also have an excellent range of out door furniture, receptacles, bike racks, planters, swings and all sorts of out door products. Foam Machines, At Partymachines.com We manufacture and sell artificial snow machines as well as foam party machines. We manufacture the foam spowder packs and the foam solution liquid that goes into the machines. We recently upgraded the machines so they are even easier to operate in 2015. 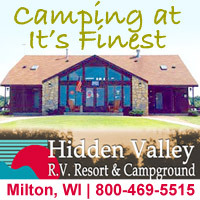 Serving the campground industry since 1970. Providing the best portable water or sewage handling system for all your sludge moving needs. Website: www.pollyproducts.comSmart outdoor furnishings that stand the test of time! Polly Products supports your environment by using post-consumer recycled plastic to craft benches, picnic tables, trash receptacles and amenities. With designs spanning the classic look of wrought iron to simply functional, your vision becomes your reality while the savings compound with no more maintenance, storage and replacement expenditures. Our non-porous, recycled plastic beautifully mimics wood, but is naturally graffiti-resistant and outlasts wood, concrete and even plastic-coated metal furnishings! Polly Products is devoted to making you and your outdoor spaces look good! Golf Cars & Utility Vehicles. New and used Club Cars. Eco-Friendly fire starter & Charcoal products. Including… Safestart Gel, Quick & Easy Charcoal Briquettes, Quick & Easy Disposable Charcoal Grill, Fatwood fire sticks & fire drops, Hardwood Charcoal, Break-N-Burn, Magicolor Flame Crystals & Cattail fire starters & Stormproof Matches. PretzelHaus Bakery – Lightly Salted, Cinnamon/Sugar & Plain Soft Bavarian shelf stable pretzels. Funacho offers cheese and chili sauces in a variety of package options and dispensers. We specialize in Commercial print services for sheet fed, heat web, digital, and have a complete bindery and mail services. Let us help you service your needs for Calendars, brochures, magazines, maps, flyers, posters, direct mail, and more! Custom Products with your campground logo. Low minimums, volume pricing discounts, good profit margin for gift shop. Specializing in commercial businesses and cash flow analysis. Let us help you buy and sale correctly! “RaDTaGZ is the first ever UNISEX ‘charm’ bracelet! A great souvenir item for your camp store the whole family will buy into. Our collectible Bands and Tagz keep your customers coming back for more! These also make great promotional items with custom created tagz for prizes and your staff appreciation efforts. Your campground is awesome….but lets make it RAD! Rainbow Play Systems have provided high-end commercial and residential play ground equipment for over 25 years. Your guests will love having their children be able to play on a rainbow play system. A name that people trust. Red Apple Center/Counseling & Development Center INC.
All your food service, consulting and equipment needs. Ripon Printers, is a family owned printing company with over 50 years in business. We print brochures, calendars, manuals, car mirror hangers, business cards, catalogs, directories to name a few of our services we offer. Founded almost 30 years ago, RMS has grown to become a global leader in developing state-of-the-art reservation and property management software for your front desk and online reservation needs. RMS has the flexibility to be configured to manage properties of any size and type including campgrounds, RV Parks, lodges, inns, B&B’ and marinas. Whether you run one campground or a combination of campgrounds and resorts, RMS provides you the ability to improve the asset value of your property. RocketDSD.com is a dynamic channel for C-Store owners and mobile vendors searching for a simple solution to their inventory needs. We carry and ship dozens of brands of ice cream,Novelties,Chips/Salty Snacks, Beverages, Frozen Foods and Candy. Rocky Top Furniture is a manufacturer of commercial grade rustic camp and cabin style furniture. We have over 25 years of experience working with over 300 camps, campgrounds, and rental cabin management companies a year. Rocky Top believes in the quality of our products and offers a lifetime structural warranty on our indoor furniture and our outdoor furniture comes with a 5-year structural warranty. We provide, free of charge, 3-D CAD drawings and floor plan designs showing how our furniture can fit in your cabin or space. We also provide railing, posts, and spindles for residential and commercial customers for indoor and outdoor use. Online campground bookings made simple. Training seminars. Clothing and Promotional Products. Custom campground signs, banners, decals, photo-op signs, vehicle graphics, trade show displays, “A” Frames, safety signs, Campground Rules & Regulation Signs. Campus style wifi and camera security solutions. We design and print area Guest guides at no coat to the campgrounds establishment. As a Southeast Publications customer you also receive a free large outdoor banner of the guide, a web page on MobileRVing.com and a free listing ion the MobileRVing Mobile App. Stay Outdoors will be the premier website – an app for travelers to arrange outdoor vacations: finding campsites, cabins, houseboats, rentals, and eventually hunting and fishing expeditions. Taylor Ent. of WI, Inc.
TC Networks brings a wealth of technology experience to campsites of all sizes. We have installed and supported nearly 3,000 Wi-Fi Access Points. Our certified engineer will make upgrading your Wi-Fi a seamless project for you. Team REIL is an expert in playground design, installation and maintenance. We have playground equipment for children of all ages and abilities. We also offer playground surfacing, shade structures, site amenities and natural or synthetic turf athletic fields. High quality Roto-Molded barrel trains for all size children and adults. RV Dump Station Equipment, including Romort water towers, hatch covers, signs, site sewer caps, and Dogi Pot Products. Customized souvenir items to help promote your business including caps, can coolers, travel mugs, lighters, & magnets, etc. Log Furniture – Futons, Chairs, End Tables, Bar Stools, Bedroom Furniture, etc. Adventure lodging w the comforts of home. Manufacturer/builder of tree houses yurts tepees and custom structures. Through a combination of equipment, chemicals, services, training, and expertise, we help WACO members operate simpler, safer and more cost effective pools. Over 50 years of tourism marketing, publishing, brochure distribution, and website development experience. Centrally located in Wisconsin Dells, the vacation mecca of Wisconsin, Vector & Ink’s expertise makes them uniquely qualified to reach the tourism trade in all four corners of the state and beyond. Phone: (414) 768-3756Commercial Sleep by Verlo Mattress offers a durable line of supportive mattresses worthy of your investment. You can trust Verlo to build mattresses that are made to your specific needs, knowing that Verlo’s quality will protect your institution’s reputation and cultivated brand. Let us show you how Verlo can create sleep solutions that keep your guests coming back year after year and convert mattresses from an expense in your budget into a revenue stream!At Verlo, we believe everyone deserves a comfortable night’s sleep – especially your guests. Premier precast products from family-owned and operated Wisconsin precaster. Product line includes septic tanks, utility buildings, retaining walls, outdoor restrooms, picnic tables and more. Wilcor International is the #1 supplier to the vacation industry with the largest varity from one source. We proudly research & develop new & innovative products to help make your business prosper. Product Listing: Camping goods, RV & Electrical Goods, BBQ, Picnic, Housewares, Fishing Gear, Pocket Knives, Impulse Jewerly, Toys & Games, Everyday Goods, Summer Fun Products, Wildlife Plush Animals, Polystone Figurines, Picture Frames, Hand Crafted Wood Gifts, Magnets, Mountain Lodge Décor & Customized Souvenirs. Trade Show Services, Pipe & Drape, Carpeting & Freight Handling. Rental table, chairs & staging. SWIM PONDS can make a valuable improvement to your campground. Wisconsin Lake & Pond Resource, LLC can help you with design assistance, installation, and management of your swim pond. Swim ponds have been a proven revenue source for campground owners while providing recreational opportunities for your guests. In addition to swim ponds, we also specialize in managing ponds used for fishing, aesthetics, and wildlife. Our professional staff of biologists, technicians, and installers will work with you from concept to completion. Water park design, engineer and build. Yamaha Golf & Utility, Inc.